Snorkels are for more than just deep water crossings where they ensure water does not make its way through your airbox and into your engine while crossing rivers and unexpected floodways. 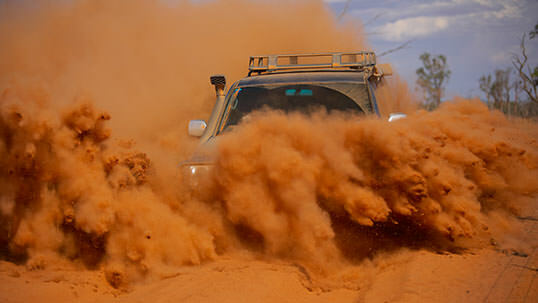 The fitment of a well designed and constructed snorkel, just as importantly, protects your engine from dust while travelling along dry dirt roads. The fitment of a snorkel repositions the air-intake to a much higher and cleaner location greatly reducing the amount of dust passing through to your airbox and filter. 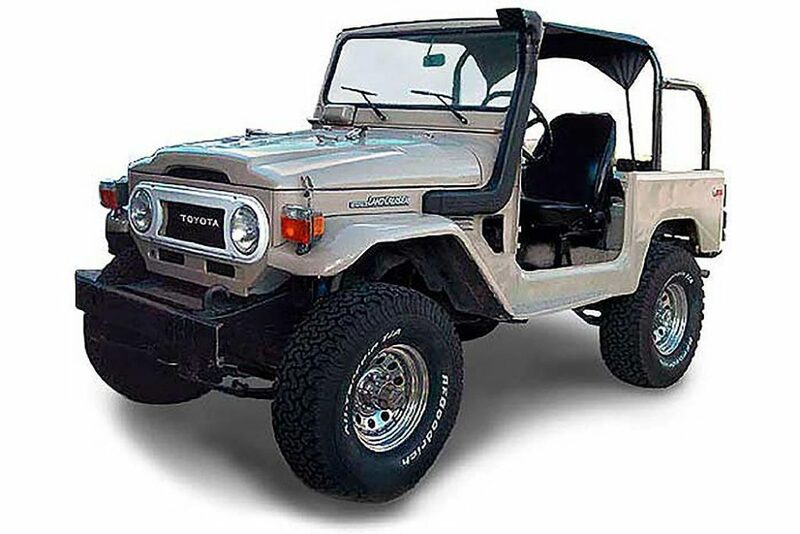 Safari invented the concept of the snorkel as a custom moulded, vehicle specific, engineered product for the 4×4 accessory industry, back in the eighties. 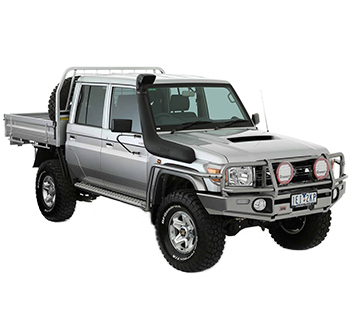 Safari snorkels are engineered and manufactured in Australia from locally sourced materials. 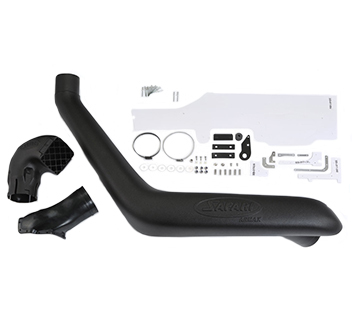 Safari snorkels are CAD designed around each vehicle unique design to absolute precision for seamless integration. 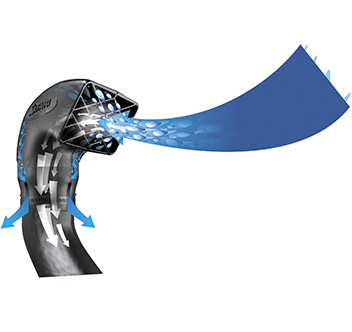 Safari’s Air Ram system is a pivotal and functional attribute of the snorkel; CAD and lab tested, the Air Ram is designed to simultaneously remove the maximum volume of water from the incoming air stream, while delivering the maximum airflow to your vehicle’s engine. 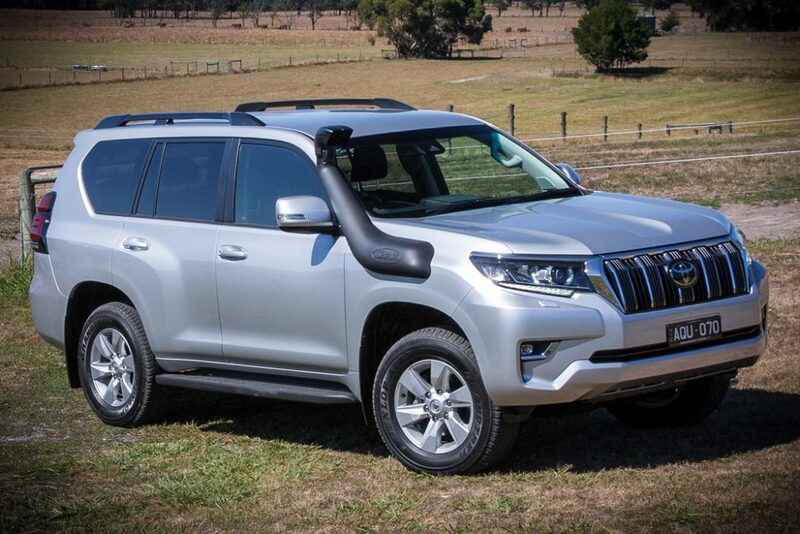 Safari snorkels utilise a UV stable polyethylene body which ensures a strong and robust fitting to the outside of your 4×4, complemented by high-grade stainless steel and plated hardware for corrosion resistance on all internal and external fittings and fixtures. All Safari connection ducting is custom designed and tooled and is manufactured from EPDM moulded rubber, rated to a continual 130°C operating temperature. There is nothing better! Nothing fits like Safari. As a result of the intricate design process, working with a combination of CAD modelling and actual vehicles, Safari snorkels are manufactured to integrate seamlessly. Where other products might look similar, none are developed with such attention to detail from the air-box back to the Air Ram to work perfectly with your vehicle. Providing increased power for today’s high output engines, Safari Armax snorkels are primarily designed to deliver greater fuel economy and engine performance. 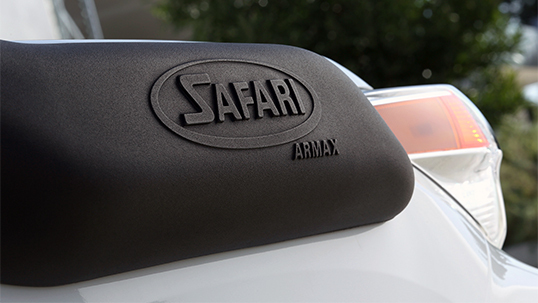 Featuring a 4″ air ram and larger cross section body, the Armax range has been developed to flow 30% more air over a standard intake or traditional Safari snorkel. Armax is suited for drivers seeking the maximum output from their vehicle, and will work in tandem with other performance modifications, such as high flow exhausts or engine remapping.